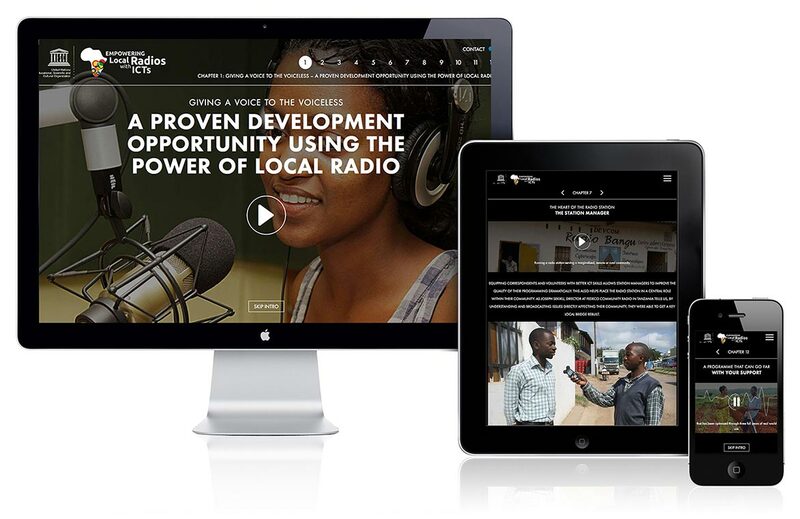 Addition has designed a website for UNESCO showing how a project to give local radio stations improved ICT capabilities is stimulating public debate, engaging communities with local issues and addressing gender inequality in developing countries. 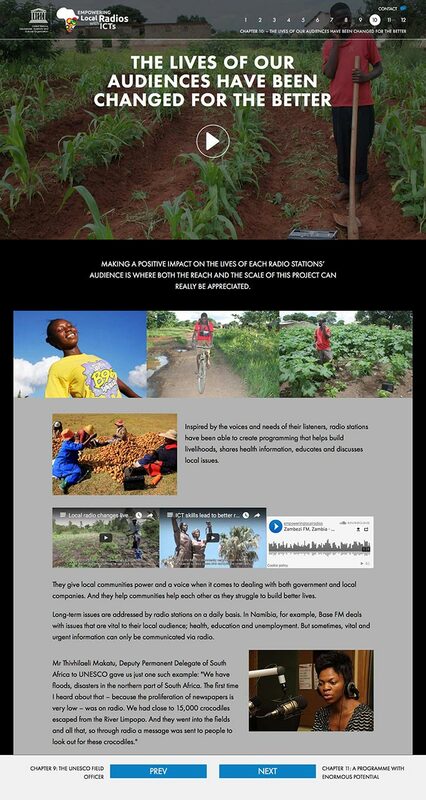 Addition has used audio visual content to show potential investors – particularly NGOs – the impact of the project with local communities. The experience has been shaped using audience insight, storyboarding, copywriting, iterative design, prototyping and technical build according to Addition.